I found this tribal print clutch at Francesca's last week. The hot pink and beads made it a winner!! I paired it with a simple look to let the clutch stand out. 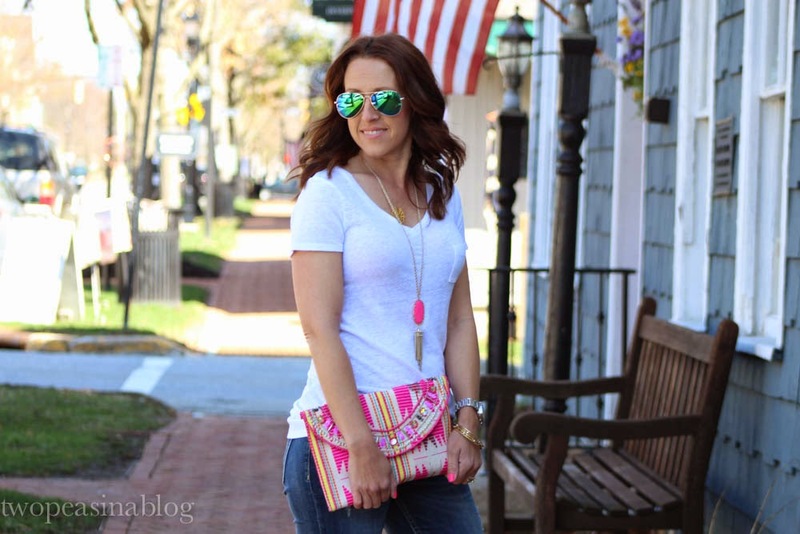 I love the tribal print clutches and bags out right now. They really add a colorful pop to an outfit. We spent the weekend up in Ohio with Katey and her family. It's always a great time when we get together. The kids are all around the same age and love just being together. While the kids went to see the movie Home, Katey and I went boutique shopping. We took these pictures while shopping in their quaint downtown. I love shopping at boutiques, they are a great place to find different or unusual pieces. 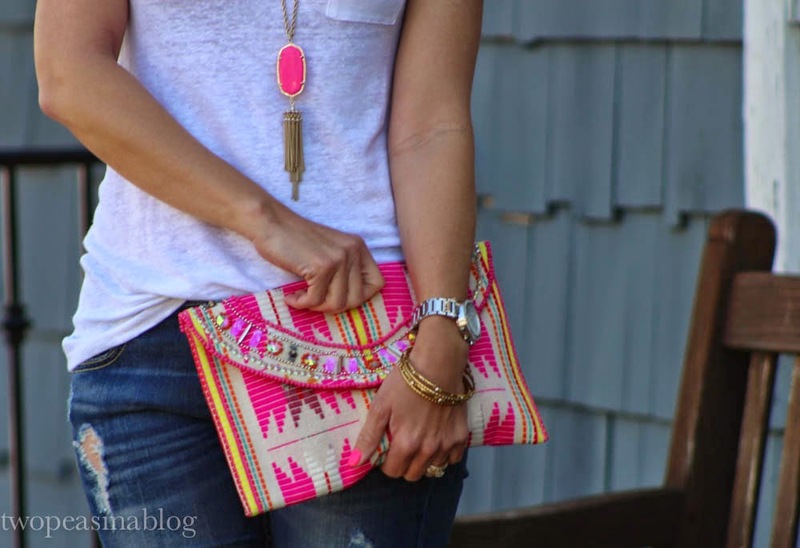 Click on the pictures below to shop more tribal clutches! !